Item 1991.028 item 182 - Nelson Street, Brampton, Ont. 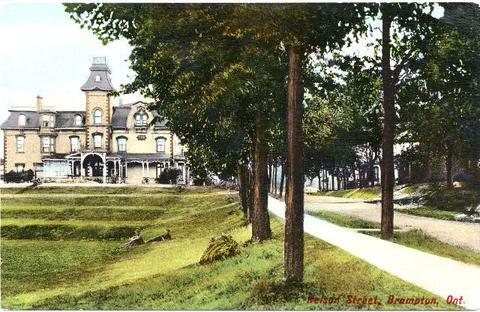 Item consists of a postcard of Haggertlea, an estate at 28 Elizabeth Street North, built in 1870. In 2013, the City of Brampton requested a heritage designation under Part IV of the Ontario Heritage Act, for cultural interest.